624091, Свердловская обл., г. Верхняя Пышма, пр. Успенский, 1.
докт. техн. наук, ст. науч. сотр., гл. специалист Исследовательского центра. канд. техн. наук, доц., вед. специалист. 1. Berman A. Total pressure measurements in vacuum tech-nology. 1-st ed. N.Y.: Academic Press, 1985. 2. 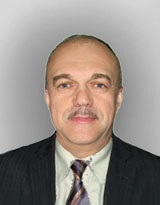 Winkler O., Bakish R. Vacuum metallurgy. Amsterdam: Elsevier Sci. Ltd., 1971. 3. Jia G.-b., Yang B., Liu D.-c. Deeply removing lead from Pb-Sn alloy with vacuum distillation. Trans. Nonferr. Met. Soc. China. 2013. Vol. 23. Iss. 6. P. 1822—1831. 4. Wang A., Li Y., Yang B., Xu B., Kong L., Liu D. Process optimization for vacuum distillation of Sn—Sb alloy by response surface methodology. Vacuum. 2014. Vol. 109. P. 127—134. 5. Dai Y.N. Vacuum metallurgy of nonferrous metals. Beijing: Metallurgical Industry Press, 2009. 6. YangB., KongL.-x., Xu B.-q., Liu D.-c., Dai Y.-N. Recycling of metals from waste Sn-based alloys by vacuum separa¬tion. Trans. Nonferr. Met. Soc. China. 2015. Vol. 25. Iss. 4. P. 1315—1324. 7. Liu D.C., Yang B., Wang F, Yu Q.C., Wang L., Dai Y.N. Re-search on the removal of impurities from crude nickel by vacuum distillation. Phys.Proc. 2012. Vol. 32. P. 363—371. 8. Dai Y.N., Yang B. Non-ferrous metals and vacuum metal¬lurgy. Beijing: Metallurgical Industry Press, 2000. 9. Smith J.M., Van Ness H.C., Abbott M.M. Introduction to chemical engineering thermodynamics. N.Y.: McGraw- Hill, 2001. 10. Tao D.P. A new model of thermodynamics of liquid mix¬tures and its application to liquid alloys. Thermochim. Acta. 2000. Vol. 363. Iss. 1-2. P. 105—113. 11. Poizeau S., Kim H.J., Newhouse J.M., Spatocco B.L., Sado- way D.R. Determination and modeling of the thermo¬dynamic properties of liquid calcium—antimony alloys. Electrochim. Acta. 2012. Vol. 76. P. 8—15. 12. Newhouse J.M., Poizeau S., Kim H., Spatocco B.L., Sado- way D.R. Thermodynamic properties of calcium—mag¬nesium alloys determined by emf measurements. Electro- chim. Acta. 2013. Vol. 91. P. 293—301. 13. Miyazaki N., Adachi N., Todaka Y., Miyazaki H., Nishi- no Y. Thermoelectric property of bulk CaMgSi inter¬metallic compound. J. Alloys and Compd. 2017. Vol. 691. P. 914-918. 14. Gerold V. Materials science and technology: A compre¬hensive treatment. Vol. 1. Structure of solids. Weinheim: VCH, 1993. 15. Hultgren R, Desai P.D., Hawkins D.T, Geiser M, Ke¬lley K.K. Selected values of the thermodynamic properties of binary alloys. Metals Park. Ohio: Amer. Soc. for Me¬tals, 1973. 16. Kong X., Yang B., Xiong H, Kong L, Xu B. Thermodyna¬mics of removing impurities from crude lead by vacuum distillation refining. Trans. Nonferr. Met. Soc. China. 2014. Vol. 24. Iss. 6. P. 1946-1950. 17. YangH.W, YangB., XuB.Q., LiuD.C., TaoD.P. Application of molecular interaction volume model in vacuum distil¬lation of Pb-based alloys. Vacuum. 2012. Vol. 86. Iss. 9. P. 1296-1299. 18. Королев А.А., Краюхин С.А., Мальцев ГИ. Равновесные системы «газ-жидкость» для сплава Pb-Sb при вакуумной дистилляции. Вестник ПНИПУ Машиностроение, материаловедение. 2017. No. 3. С. 75-99. 19. Королев А.А., Краюхин С.А., Мальцев Г.И. Фазовые равновесия в системе Pb-Ag при пирометаллургической возгонке. Вестник ЮУрГУ. Металлургия. 2017. No. 2. С. 22-33. 20. Zhao J.Y., Yang H.W, Nan C.B., Yang B, Liu D.C., Xu B.-q. Kinetics of Pb evaporation from Pb-Sn liquid alloy in vacuum distillation. Vacuum. 2017. Vol. 141. P. 10-14. 21. Kong L.-x., Xu J., Xu B.-q, Xu S., Yang B. Vapor-liquid phase equilibria of binary tin—antimony system in va¬cuum distillation: experimental investigation and cal¬culation. Fluid Phase Equilibria. 2016. Vol. 415. P. 176¬183. 22. Nan C.B., Yang H.W, Yang B., Liu D., Xiong H. Experimen¬tal and modeling vapor-liquid equilibria: separation of Bi from Sn by vacuum distillation. Vacuum. 2017. Vol. 135. P. 109-114. 23. Song B., Xu N., Jiang W, Yang B., Chen X., Xu B., Kong L., Liu D., Dai Y. Study on azeotropic point of Pb-Sb alloys by abinitio molecular dynamic simulation and vacuum distillation. Vacuum. 2016. Vol. 125. P. 209-214. 24. Zhang C., Jiang W.L., Yang B., Liu D.C., Xu B.Q., Yang H.W. Experimental investigation and calculation of vapor- liquid equilibria for Cu-Pb binary alloy in vacuum dis¬tillation. Fluid Phase Equilibria. 2015. Vol. 405. P. 68-72. 25. Лякишев Н.П. Диаграммы состояния двойных металлических систем: справочник. М.: Машиностроение, 1996.